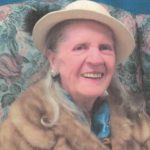 Blanche Elizabeth Coburn passed away in Clearwater, British Columbia on June 10, 2018 at the age of 89 years. She was born on June 19, 1928 in Kamloops, BC. Blanche is survived by her children Steve (Cindy), Diane (Sandy), Ross (Carrie). She will be missed by her 9 grandchildren and 15 great grandchildren. Blanche was predeceased by her loving husband Mel, her parents, brothers Howard and Harry, daughter in law Terri. Blanche enjoyed gardening, reading, country music, dancing, crossword puzzles, camping and travelling. She really liked cats and horses. Blanche’s family was most important to her. She loved her children, grand children and great grandchildren. In lieu of flowers, please make a donation in memory of Blanche Coburn to your local SPCA.